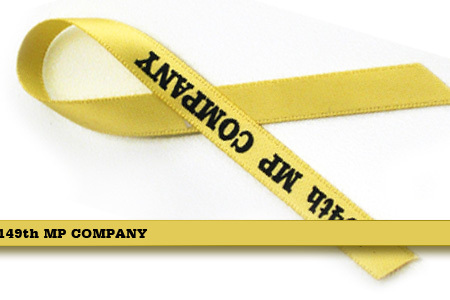 Designed to be tied/shapped into favor bows, awareness ribbons or for decorating. The imprint will be only on the ends of the cut ribbons. 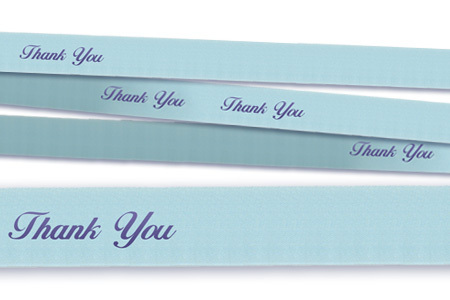 All of these ribbon rolls can be customized with your text and/or logo spaced along the entire length of the ribbon so that when cut the imprints will be at the ends of each ribbon. The uncut ribbon will be shipped on a spool and you will need to cut each ribbon in the space between the repeats. 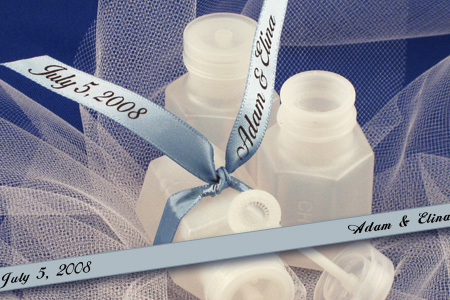 Personalize single face satin ribbon rolls with custom text and logos; ribbons have one smooth side and one matte side. 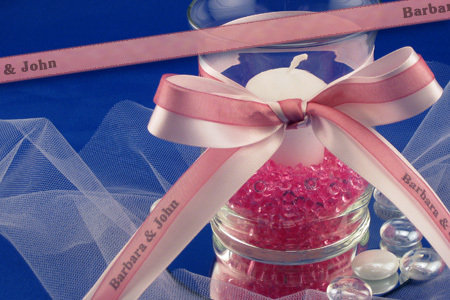 A popular choice commonly used in decorations, double face satin ribbon rolls have a satin sheen on both sides. 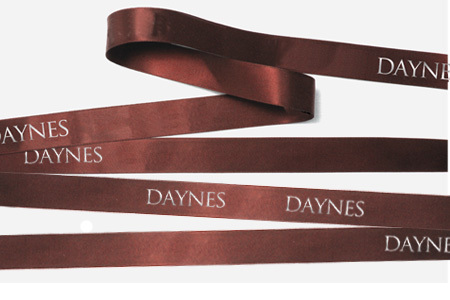 Perfect for weddings and decorations, these DYNA satin ribbon rolls have a slight sheen, are soft and easy to tie. The cording on a grosgrain ribbon roll creates a unique look to the imprinting and is available in many color choices. 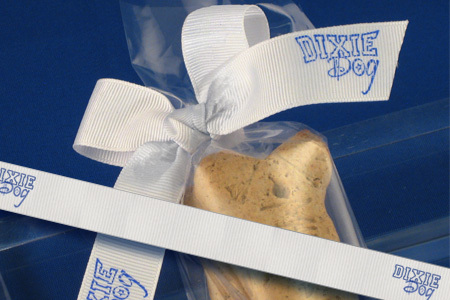 Translucent and light weight, chiffon - organza ribbon rolls are a classic way to add special flair to your gift wrapping. Ideal for floral arrangements and bows, imprinted satin acetate ribbon rolls are stiff and come in multiple color choices.